I'd be lying if I said that being a pregnant WAHM with a big Buddha belly, while running a blog and photo-video business was easy. But seriously, nothing worth having ever comes easy. That is why using my mobile devices is an important part of my daily life. I have 3 phones with 3 different prepaid numbers; one for personal use, one for business and a spare. That being said, I'm pretty sure you know how hard it is to run out of load. Because, if you ask me, a cellphone without load is like a relationship without trust, all you can do is play games. And hey, I'm no player and I have no time to fiddle around especially when I need to reload at the worst times. Hugot aside, some may view this as just another situation of being disconnected with the world. Consequently, I quietly panic every time I run out of load and I need to connect and say "E.T. phone home," or when I need to call my hubby in case of emergency. Or, at times when I need to answer emails from clients, update my blog and social networking sites, or even when it's coding and I need to get Uber/ Grab. I found this quite a bit of a hassle because I can't be bothered to buy prepaid load every once in a while, and the last thing I want is to suffer from burnout. I'm also approached by cell phone sales representatives who go to extraordinary length to persuade me in signing up for postpaid plans that's under a monthly 999 pesos, which up to now can still be quite steep for me (yaaas, I'm kuripot like that) and I'm worried of getting bill shock. Plus, the hassle of having a new number and updating everyone on my phonebook. Yes, I'm ready to move to postpaid, but no, I don't want to change my mobile number for the nth time. Basically, I think it is one of the basic challenges when upgrading to a postpaid plan. 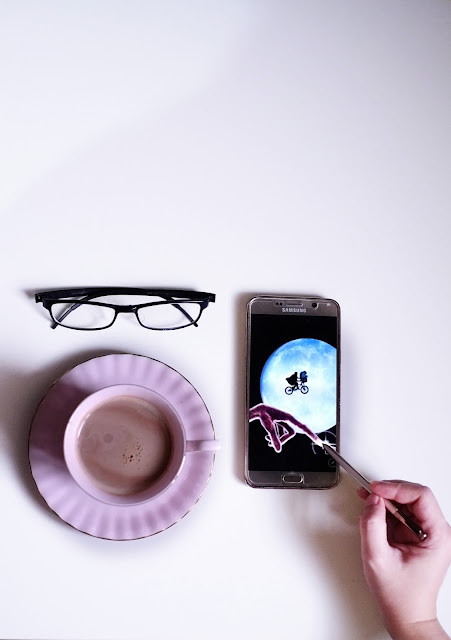 A good question to ask yourself is: "Will upgrading to postpaid plans make things easier for me and help me grow my business?" It's hard to decide though because I always think about the best option, but sometimes choosing the best happens from doing less. Remember, less is more. So do I have to keep all 3 numbers? Not anymore. I do know better now. I found out that Globe has introduced another game changing service by conveniently allowing prepaid customers to use their mobile numbers even as they move to a postpaid plan - the all-in-one budget friendly Globe MyStarter plan. Now, I can turn my prepaid number into a postpaid plan! Plus, I get to keep my prepaid mobile number and it is, of course, perfection. To be clear, I don't see my prepaid number exiting my life entirely anytime soon. 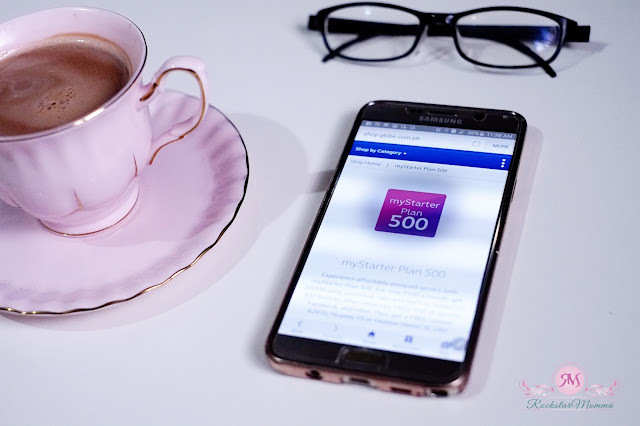 But one thing is for certain; I love Globe MyStarter plans and how easy it is to stay connected to everything that matters to me while keeping control over my spending. 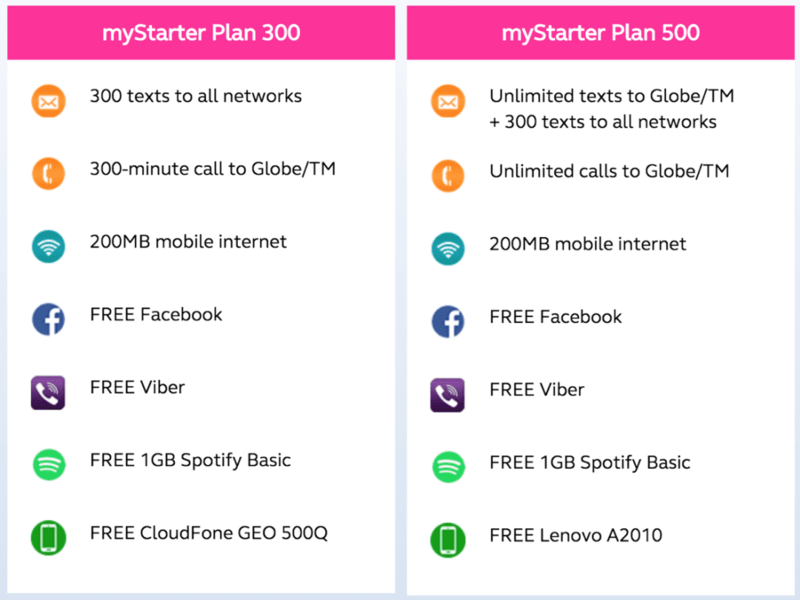 Globe MyStarter plans allow you to upgrade to a postpaid plan alongside the assurance and convenience of a a fixed-monthly payment of either 300 or 500 pesos and nothing more than that. 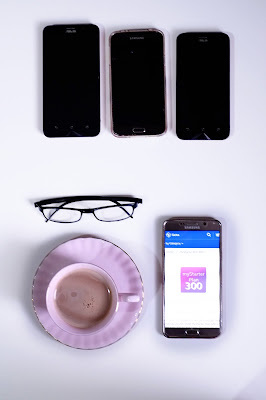 With Globe MyStarter plans, I'm able to do the things I need to accomplish so I don't fall behind on my blog and business, which make things a lot easier for me. It also takes away any worries of going over the spending limit because of its guaranteed fixed bill every month. Should one go over the plan’s limit, it can easily be topped-up with prepaid load when needed. Plan 500 comes with unlimited calls and texts to Globe and TM, 300 texts to other networks and 200 MB of data. Plan 300, on the other hand, has 300 texts to all networks, 300 minutes to Globe and TM, and 200 MB worth of data. Both plans also provide free access to Facebook, Viber, and 1 GB of data for Spotify Basic. Recently Globe also introduced the new Disney Mobile devices that are exclusively available with the Globe myStarter plan 500 with P250 monthly cash out that can be charged to the monthly bill. Disney Mobile comes in three themes – Frozen, Mickey Mouse and Disney Princess. Customers can go to any Globe store or online to get the plans and the devices. With Globe myStarter Plan, you can experience the ultimate Palawan get-away with your travel buddies! Grab a chance to win a jungle trip experience in Palawan for four (4). Apply for myStarter Plan until May 18, 2016! You can learn more about this promo here. So shift now from prepaid to postpaid and get more of what you pay for! To learn more about what postpaid plan is best for you, visit http://www.globe.com.ph, call 7301010, or visit a store nearest you.